Interesting, but aren’t there more important things to analyze? 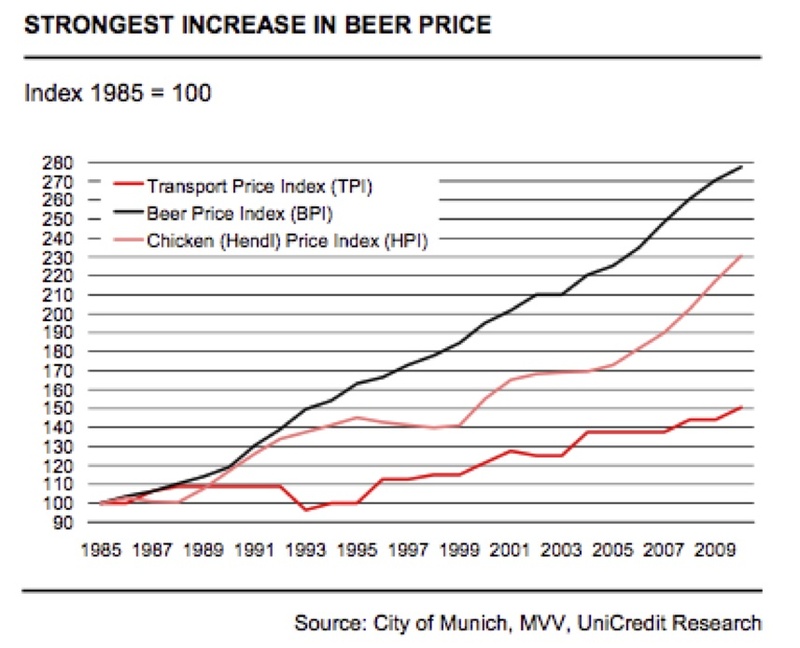 Hypo-Vereinsbank economist Alexander Koch calculated a Chicken Price Index and a Beer Price Index for München’s Oktoberfest, the world’s largest fair. Click here for the full paper. What does this tell us about the law of demand? This entry was posted on	September 17, 2010 at 5:17 pm	and is filed under Uncategorized.